Named after the crocodile God Sobek, Sobeknefru, whose name means ‘she who shows the beauty of Sobek’, succeeded her brother to the throne of Egypt. At the time she came to power, the cult of Sobek had prominence in Egyptian society and following her example many of the pharaohs of the 13 th Dynasty felt it incumbent to take the name Sobek. Who was this God? Sobek was associated with the Nile crocodile and is either represented in its reptile form or as a human with a crocodile head. Sobek was also associated with power, fertility, and military prowess, but served additionally as a fiercely protective deity, which was invoked particularly for protection against the dangers presented by the Nile River. He gained ascendance through the myth that linked him to Isis and Osiris, when he helped the Goddess retrieve her husband’s dismembered body parts. His cult was established in Faiyum Region, with its capital Sheddet (translated Crocodilopolis) devoted to the care and worship of the god, and of the crocodiles raised in the temple as reincarnations of the deity. One of the most important benefactors the cult of Sobek had was Amenemhat III, Sobeknefru’s father. He had taken a particular interest in Faiyum and in Sobek and so the area blossomed with many new building projects. Sobeknefru would have grown up around the priesthood of the Deity and perhaps Sobek was her personal favourite of the pantheon. When her brother died, the priesthood of Sobek backed her claim to the throne, as Amenemhat IV had no sons. What we know from Sobeknefru’s reign is that she extended the labyrinth that her father had begun in the Faiyum Oasis—this labyrinth was used as a model for the one in Crete, hinting that perhaps there was an initiation ceremony in both countries that was turned into myth later. Unfortunately, not much else is known about her reign as there is little evidence, unlike Hatshepsut. 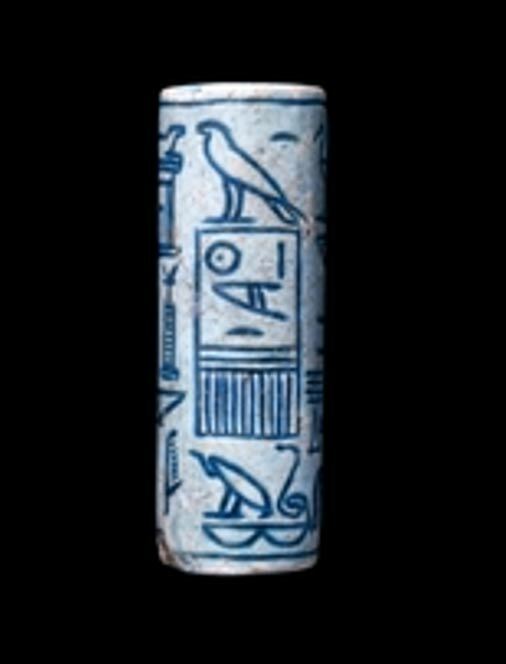 Archaeologists have not found her tomb (though a pyramid in Dashur may be hers) and so all we have are five statues, several beads, scarabs and seals bearing her name. 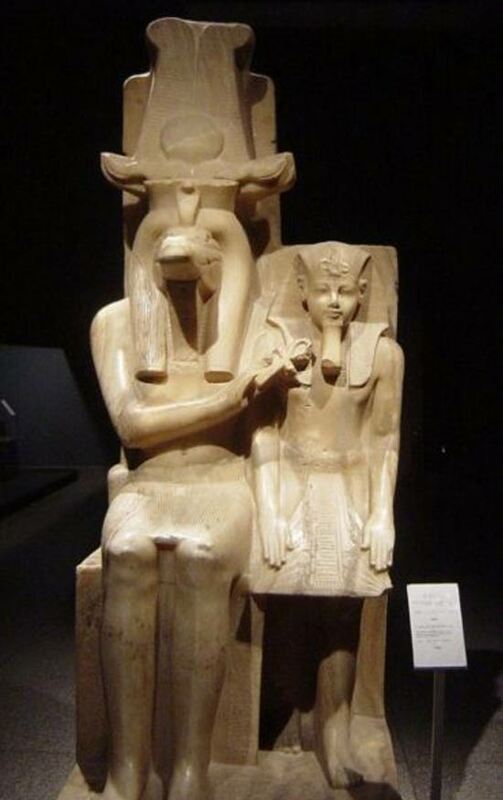 Other evidence comes in the form of Manetho's text; in the Turin Canon, the Karnak, Turin and Sakkara king lists and a Nile inundation record. She is listed at the mortuary Temple of her father, Amenemhat III which she completed. Surprisingly (or not) her name appears many times at the temple, whereas her brother’s name is absent. Sobeknefereu was the first known female Pharaoh for which there is confirmed proof, and she is known to have had a prosperous, though brief, reign. 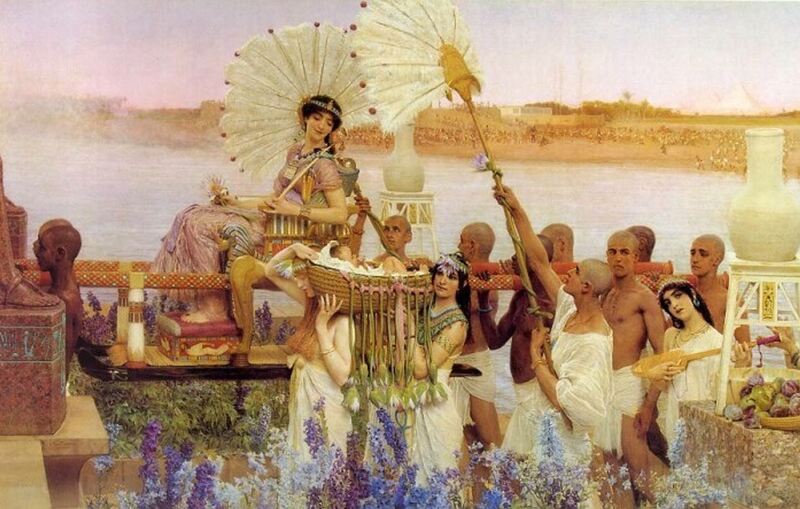 Some have claimed that she is the Egyptian Princess who rescued Moses and that he was Amenemhat IV, forced to flee when he killed the Egyptian. When he left and Amenemhat III died, she would have taken the throne. Considering her father’s patronage of the cult of Sobek and the care of the holy crocodiles, it is reasonable to suggest that is why the babies were given to them as a method of population control. It may be surprising that her influence is found in certain families who have claimed descent from her, namely: the Dragon (or Sacred Crocodile) Court, which operated concurrently with the Serpent Cult and the Mystery Schools. It was said to have been founded by the priest-prince Ankhfn Khonso, though it was Sobeknefru who established it as a Pharaonic institution. What were the changes wrought by this merging of belief and politics? For starters, Pharaohs were anointed with Sacred Crocodile (Messeh) fat when they were crowned, referred to in Egypt as the Holy Mesa, which became the Aramaic Mashih, which in its verb form is MeSHeH or ‘to anoint’. This lead to the early Kings being called ‘Dragons’, ‘Mesas’ or ‘Messiahs’. This practice may have begun in Mesopotamia, but it was Sobeknefru who instituted it in Egypt, which was then adopted by the High Kings of Israel and Judea. Jesus, as a Messiah, would have been anointed with the fat of the Messeh by his Priestess-Wife, as did his ancestors which were of the Davidic line. So, if Sobeknefru’s induction of the cult of Sobek into the Pharaonic ceremonies and rituals had such a far-reaching effect on the countries and dynasties in Bible times, did it end with the fall of Jerusalem? No. The rituals were known and emulated by the royal houses in Europe, first with the name Pendragon (Head Dragon) becoming known through Arthurian lore and then with Emperor Sigismund von Luxemburg, King of Hungary reforming the Imperial and Royal Dragon Court as the Societas Draconis in 1408. Emperor Sigismund claimed descent from Egyptian Dragon Dynasty of Sobeknefru through the Davidic line of Judah and the Pictish line descended from Maelasanu (Melusine) and the Tuatha de Danaan. One of the most famous members of the Societas Draconis is Vlad Basarrab, or Dracula, son of Vlad Drakul. Dracula’s son wrote that his father proudly claimed a linear descent of the Priests of the Dragon Court of Queen Sobeknefru, by which he may have meant a spiritual priestly lineage rather than a genealogical one. Whether Emperor Sigismund was correct in his claims of descent from the various lines (many experts believe he forged his genealogy in order to build a power base amongst the other Royal Houses of Europe), or whether the son of the House of Dracul was misled in the mystical power he inherited through the initiation rituals, it is of interest that an almost unknown Egyptian Queen who was nearly erased from all records has had such an influence on literature, beliefs, history and culture, though the true nature of the original Dragon Court is still shrouded in mystery. Isn’t it funny how so many things had their origins in Egypt? Or maybe not. Just glad to have found this site and looking forward to updates. Looking forward to being part of this community. Whenever I think of Egypt I can't stop thinking of greatness associated with Africa at large.However with all that ancient powerhouse of knowledge the current Africa continent remain to be a shadow of what it early inhabitants if not ancestors destined it to.The ancient Egypt shaped the current world in all angles of influence,how I hope that Africa we one day rise anew and act anew to reclaim what is rightfully hers. Dragon Queen of the White Brotherhood is the full title...because Ariyans are the original "egyptians". Also, Jesus would have been annotated with another ointment containing kanen bosm (cannabis).